Our centre is proud to have produced two newsletters in 2012. 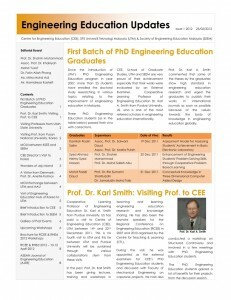 This newsletter is published twice a year and reports on various activities by the centre. 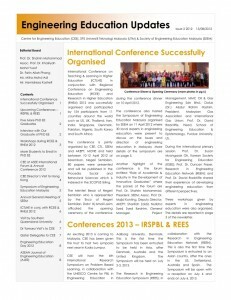 Included in the newsletter are also updates for engineering education around the nation. Feel free to browse our newsletter. Downloading is also available for your pleasure. 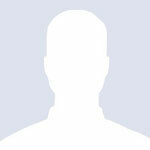 The links are as below.